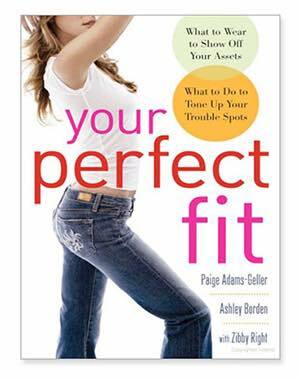 Master trainer Ashley Borden is one of the top fitness and lifestyle consultants today. She has more than 35,000 hours (20 years) of experience in personal training with a client list that includes Reese Witherspoon, Ryan Gosling, Kesha, Steelers’ Antonio Brown, NY Yankee Nick Swisher and UFC champion Matt Hughes. Additionally, 44-year-old Ashley is in phenomenal shape herself. So, what makes her one of the most elite trainers in the world and what does she credit her incredible physique to? Ashley reveals her “secrets” to success in the personal training industry along with her workout and diet regimen in this interview. RC: Hi, Ashley! Thank you so much for taking the time to interview with FitnessRx for Women. Let’s start with a little bit of your background. How did you get into personal training and get started? RC: You are so successful and internationally recognized as one of the top experts in the field of training. How did you manage to set yourself apart in such a fast-paced and competitive industry? Teach and be teachable: “I’m a teacher before anything. You need to be in this profession because you want to help people. If you’re in training because you like to work out, that’s not going to last. If you’re in training because you want to train celebrities, people can smell that a million miles away, and you won’t last. To me, you still have biomechanic issues whether you’re a billionaire or a huge famous person. Everyone’s equal. 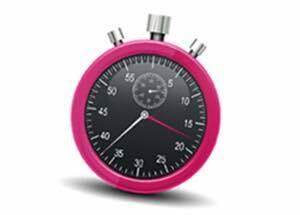 Ashley’s top 2 tools for training: Round timer app (to manage time) and Coach’s Eye app (to give her clients visual feedback). RC: You use a training system that consists of four parts (strength training, interval training, foam rolling, and the SOS Food plan). Which component do you think is the most important, or that most clients seem to have the most difficulty with? RC: I’ve followed you via magazines/Facebook/Instagram for the past 10 years and you seem to look better and better each year. What workouts do you do to stay in such great shape? RC: So what does your weekly workout schedule usually look like? Workout tip: Ashley works out in a gym with no mirrors so she can really feel the movement. With a mirror, you are moving by what you see, which is not accurate. One example she gave is while you are squatting, you can have all your weight at the front of your foot and it can still look like you have the weight in your heel if you go by the mirror, but if you are going by feel it eliminates that mistake. RC: What about your diet? Do you follow any special plan? • Dessert: Ashley always ends the night with something sweet like dark chocolate with almond butter, or a hot Lactaid with chocolate in it. RC: We all kind of hit phases in life where we feel “blah” or unmotivated in our workouts. What advice would you give to find that motivation again? RC: Awesome advice! You recently came out with a workout program called “6 Weeks to Sculpted” that was voted as the No. 1 workout DVD by Fitness Magazine. What inspired you to create this program? RC: So, could someone do this program longer than six weeks? 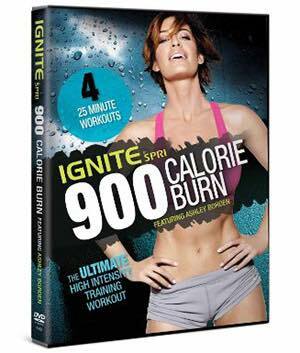 Could your “900 Calorie Burn” DVD also be mixed in for variety? RC: Do you have anything else you’d like to add? Any new ventures? RC: Awesome! Thank you so much for your time and sharing your master trainer tips with FitnessRx for Women!